The United States and North Korea have yet to call off a weekend meeting in Singapore between senior officials on both sides, despite uncertainties surrounding President Donald Trump's decision to cancel his summit with Kim Jong Un. The decision to cancel the summit was quickly met with a diplomatic response from North Korea's Vice Foreign Minister Kim Kye Gwan, who said in a statement on KCNA the North is willing to talk to resolve issues "anytime and in any format." On Twitter Friday morning Trump said the statement was "very good news." "Very good news to receive the warm and productive statement from North Korea. We will soon see where it will lead, hopefully to long and enduring prosperity and peace. Only time [and talent] will tell!" the president tweeted. Trump then told White House reporters as he headed to Marine One the June 12 summit could still take place. "We'll see what happens. It could even be the 12th. We're talking to them now. They very much want to do it. We'd like to do it. We're going to see what happens," he said, according to White House media pool reports. The reversal of statements the president issued Thursday could mean the U.S.-North Korea working-level talks this weekend could still take place. Joe Hagin, the deputy chief of staff for operations at the White House, was scheduled to travel to Singapore this weekend to make preparations. Kyodo News reported senior North Korean officials were also seen en route to Singapore. News of the cancelation drew mixed reactions from South Korean political parties Friday. Ruling party lawmaker Choo Mi-ae said she remains hopeful. 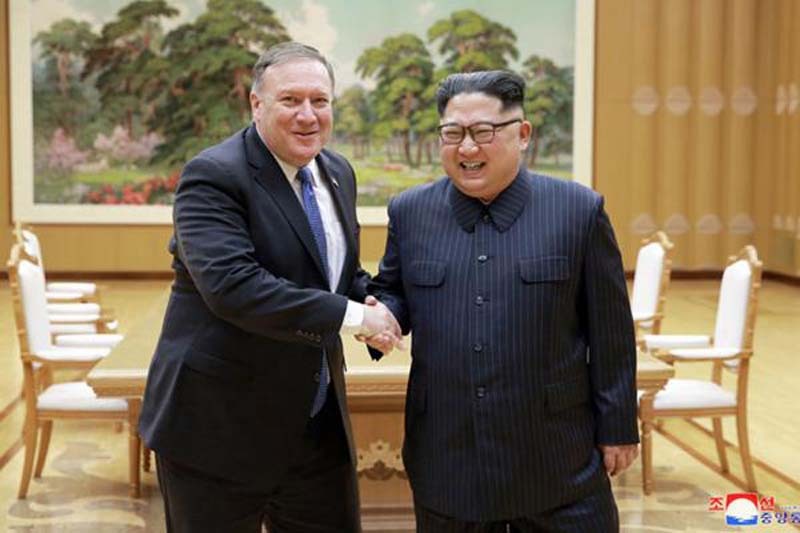 "Though North Korea's provocative statements led to [Trump's] decision, I don't think this is the time for us to be pessimistic or discouraged," Choo said, according to Yonhap. "The North showed there is no change in its commitment to bringing peace to the Korean Peninsula." Late Thursday, President Moon Jae-in had expressed "profound regret" at Trump's decision to cancel.